On the eve of Eternal Sunshine of the Spotless Mind‘s 10th anniversary, I revisited an old cinematic flame, confirming my suspicion that movies, like lovers, improve with forgetting. March 18, 2014. 9 p.m. There is a feeling I’ve had my whole life, but have never been able to put into words very well: that if there’s anything I’ve learned from my experiences with art (movies, books, songs), it’s that you can abuse it. I mean “abuse” like in the “substance” sense. Movies, especially–because they absorb you so completely–require handling with care. Tread extra gently around the ones you love the most—don’t watch them too much and too carelessly, or you’ll sap away any power they might have once had over you. Appreciation depreciates. Once you’ve killed a good movie, like a joke told too many times, it’s all over. Good luck trying to get back that rush of first love you had in the beginning. Already this has begun to happen to me with Michel Gondry’s Eternal Sunshine of the Spotless Mind in the short 10 years of its lifespan, one of my (and countless others’) quote-unquote favorite movies of all time. I’ve instinctively avoided watching it for at least three years now—I shied away even from the chance of seeing it at L.A.’s Silent Movie Theater this Valentine’s Day—because I’m worried that after 10 or so viewings, I’ll discover its magic irrevocably eroded. A long-term boyfriend you stop bothering to put real pants on for–comfortable, and too familiar. I can tell this is happening because certain images from the film—especially the more ubiquitous ones, like the bed on the snowy beach—are gradually losing their effect. When I saw that image tonight (feeling dully obligated to pen something for the occasion, lazy and uninspired, daunted already by the barrage of ESOTSM love that will spring up tomorrow on the Internet) I actually had to think about why and what it meant to me; I had to work to feel back into the way it first felt. Like my autopilot drive to and from work every day, brain numbed out on boredom and the boozy colors of aVenice Blvd sunset–nearly knocking over cyclists before I force myself to really see. Or like Dr. Mierzwiak’s assuring, unctuous exposition murmuring over the procedure room of Lacuna Inc., his words a blurry accompaniment to Joel’s parade of Clementine-triggers (watercolor sketches, a mug with Clementine’s face on it, matching Potato-Head versions of themselves). The bulkiest object in the bag of Eternal Sunshine mementos I’m examining tonight: all the relationships I’ve ever had, hopelessly doomed to bear Joel and Clementine’s imprint, for better or worse. 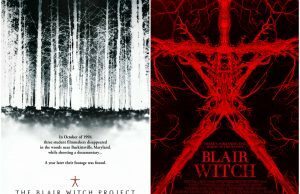 Those insufferable “dining dead” episodes (if you’re reading this, blame this movie for all the fits I threw over texting at the table—you know who you are). 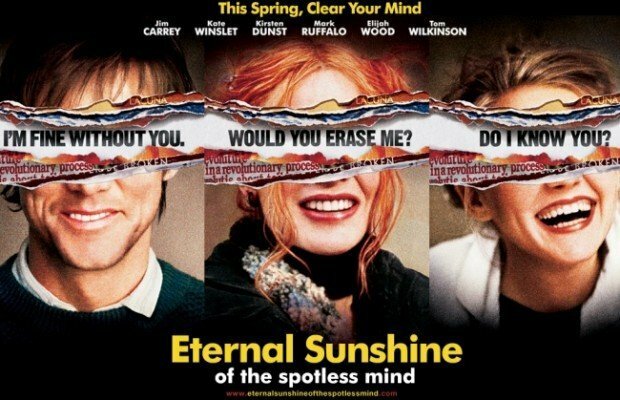 I always take special care to avoid Eternal Sunshine of the Spotless Mind at the end of a relationship (another reason I shied away from the chance of seeing it at the Silent Movie Theater this Valentine’s Day). This time it’s not because I’m afraid of emotional jadedness, but the opposite: the fear that the movie’s spectacular ending would make too convincing an argument for trying again, and compel me to call up someone I’d sworn I was over.